CutList Plus Viewer for iPad. This free companion app lets you take your projects with you. Viewer for CutList Plus fx Projects. Take projects you have created on your computer and transfer them to your iPad using Dropbox, email or iTunes File Sharing. 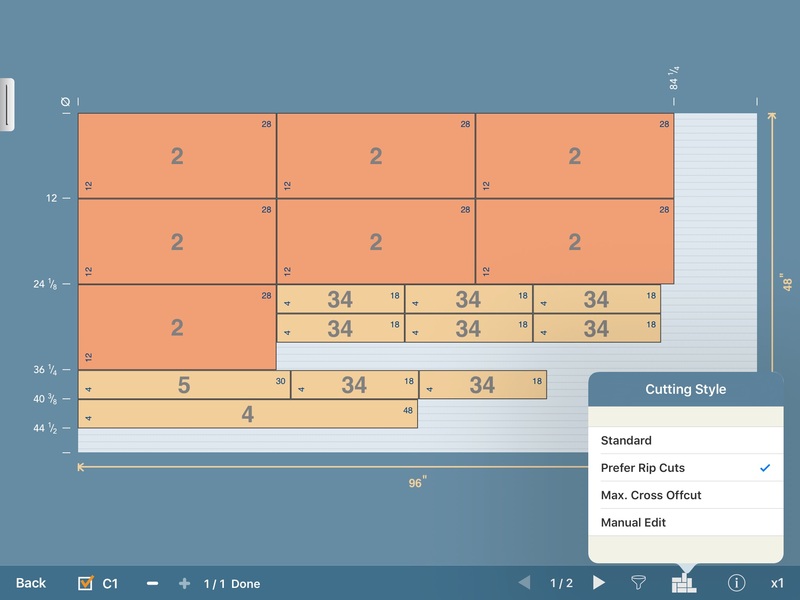 You can view your cutting diagrams, parts and bill of materials while in your workshop or at the lumber dealer. Checkboxes allow you to keep track of which diagrams have been cut, which materials have been purchased, and which parts are finished. You can even manually edit your diagrams. Just drag parts to re-position them. Use the Parts Bin to move them from one diagram to another. The free viewer app does not edit or re-optimize parts. From the Developer of CutList Plus fx. © 2019 Bridgewood Design LLC. All rights reserved.